I have a bit of difficulty in reviewing this book 'cause I feel whatever I would say will not make it justice. 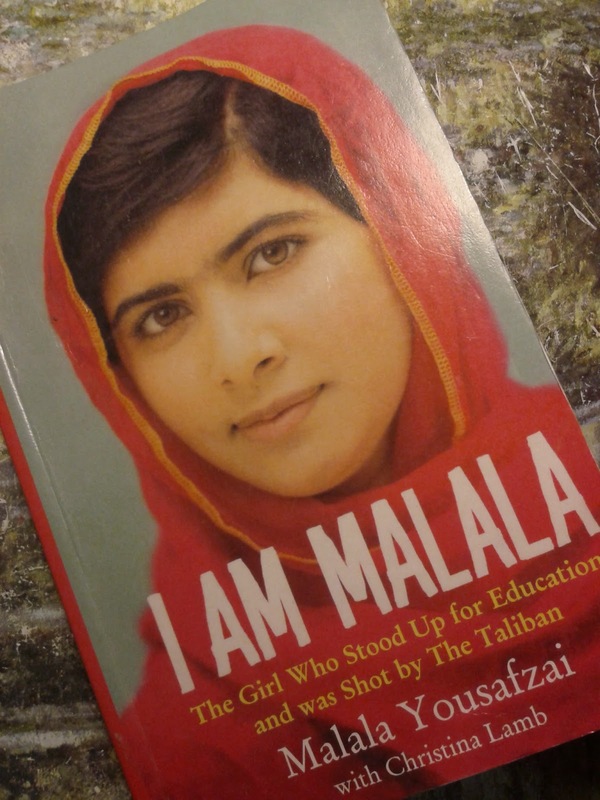 So I begin from the end by suggesting just to go to a bookshop and buy it, without thinking twice, 'cause Malala's story has to spread around the world!!! Malala, who is Malala? Is the question that the book try to answer. The story of a little girl born in a free Pakistan that quite fast and very subtly is taken over by the Taliban. Imagine, just like that. One day you can walk freely on the street, and the day after you (as a woman) are not allowed to go out without a male member of the family, even if he is your 3 years old brother! The book explores the main steps of this change in a political, social but mainly personal point of view. All starts with a radio program that point out publicly all the behaviours that according to the Taliban go against the Quran, this generates first worries but then somehow a general consensus, which makes people forget the real principle of the Quran, or of any other Holy Book, regarding the role of the women in society. How all of this affect the life of a teenager? The first aim of the Taliban is to prohibit education (ignorant people are more silent), and in particolar they are against girl education, claiming the Quran affirms their role is just to mind the male components of the family. Supported by her father, that with this intent had opened a school for both boys and girls, Malala starts her fight for her (and every child) right for education! She starts to write a blog for the BBC with the pseudonym of Gul Makai, to describe the life of a Pakistani girl during the regime. Quite soon she become an icon for girls' education and, of course she starts to be thorny for the regime, therefore one day while coming back from school she is shot on the head by the Taliban. While reading the book I kept on thinking one main thing: what was I thinking when I was 14-15? How many times I complained about going to school, seeing it as time taken from friends and fun? Which were the thoughts and the ambitions of an average western girl during her teenage years? All these thoughts made me feel very small and careless. Among all the important messages in the book, it has also the merit to explain quite well the difference between being Muslim and being a Taliban. A difference that too often is forgotten in western culture. How can we help Malala? Mainly by spreading awareness! You can join her cause in the Malala Fund. Here there is one of her most inspiring speech, that she gave in 2013 for the Malala's day at the United Nations Youth Assembly.